Educating my kids is the hardest part of parenting for me. The truth is that I ended up hating school, as did my son. And my heart breaks wanting things to be different for my girls. Three and a half years ago, as my middle was finishing up fifth grade, my hubby and I set out to look at different education options with only one question in mind: Where will she get the most excellent education? The choice, within that framework, was very easy. That fall our family became part of the San Luis Classical Academy family. It is a hybrid education, where she was in classes with wonderful teachers two days a week, and home schooled the other three. They guided the home days, and we got to add our own stamp to what we learned. It was the best educational decision we have ever made. Now she has started high school. And the school is having its very first CIF teams. Ever. 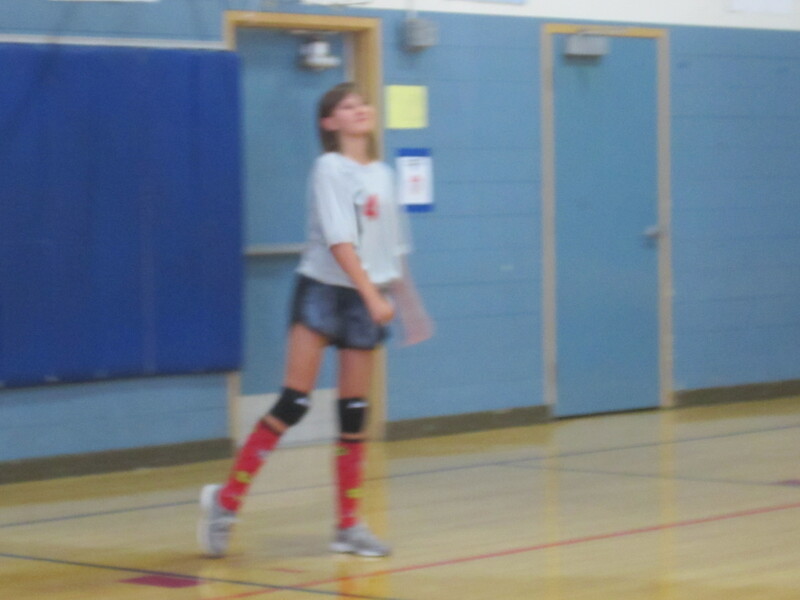 It is our first volleyball season as parents, hers as a player and the schools as a team. We love it. At the game the other day, the senior member of the team started encouraging the girls by saying, “This is your moment.” We were loving it in the stands…every time momentum was going in the wrong direction, she would call it out. She was right. These really ARE the moments. Life, an abundant life, certainly has grand gestures and big events, but it is the simple of the everyday that really makes things beautiful. Right before my eyes, she is changing. It feels like she grows an inch a week, and if I could I would sweep her back to chubby cheeks and endless days right by my side. But I can’t, so I will do what I can to pay attention today…because there is so much to be awed by. She loves school because she loves to learn. We are watching and rooting her on, as we wipe away the tears when she’s not looking. Seeing my kids grow up breaks my heart with beauty. We are transfixed. We are grateful. She has read Chaucer and Shakespeare; The Illiad and Beowolf. She has been wrapped in science and loves geometry. She joined the Writers Club. After volleyball she heads downtown to get dinner and then attends youth group at church with her friends. My heart is overflowing with gratitude that God has blessed this process so abundantly, and I will breathe it in deeply because this moment will be gone all to soon.